Shout-Out to the Throwdown Crew & Big Poppa Smokers - The BBQ BRETHREN FORUMS. To Moose and Shagdog... thanks for all the work you do making the Throwdowns happen. And a big to sponsor Big Poppa Smokers for the generous gift certificate I was awarded for winning last month's Fish Throwdown. My BPS package showed up yesterday so I'm all set for the rest of the year. The gift certificate took a huge bite out of the invoice, and the shipping was super fast. I was planning to post a similar pic from my Reverse Sear TD win. 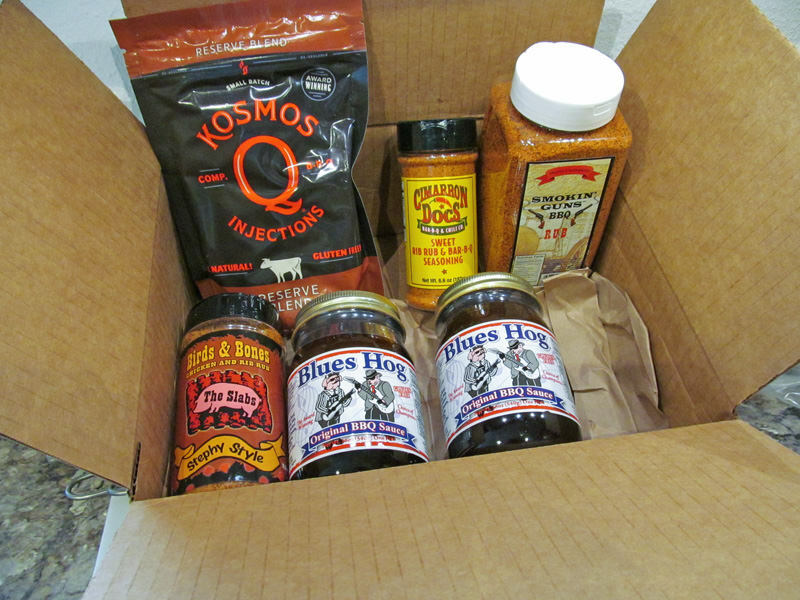 Picked up some BPS Money and Jalapeno Salt, and some Simply Marvelous Peppered Cow and Pecan Rub! It would be great if you post that in Qtalk, as it will get a bunch more eyeballs.